Cover image courtesy of Tristan Simpson. The TSRA will always make every effort to respect Torres Strait Islander and Aboriginal people’s cultural sensitivities when featuring the images or names of people who have recently died. However, please be advised that this document may contain images of persons who have died since this Annual Report was prepared for tabling in Parliament in October 2018. We offer our apologies for any distress caused if this occurs. ensure that the copyright owner has consented to the material being presented in this publication. With the exception of the Commonwealth Coat of Arms and where otherwise noted, all material presented in this report is provided under a creative commons licence. Details of the licence can be found on the Creative Commons Australia website at http://creativecommons.org.au/learn/licences. This document must be attributed as the Torres Strait Regional Authority Annual Report 2017-2018. The TSRAs contact officer for the 2017-2018 Annual Report is Ms Yoshiko Hirakawa, Acting Programme Manager Governance and Leadership. Telephone (07) 4069 0700 or email info@tsra.gov.au. ePub Electronic Publishing for eBook Readers. The Indigenous people of the Torres Strait are a separate race of First Nations peoples who speak two distinct traditional languages and six dialects. Torres Strait Islanders in the Eastern Islands speak the traditional language of Meriam Mir, which includes the Mer and Erub dialects. The Western and Central Island groups speak Kala Lagaw Ya, which includes the dialects of Kulkalgau Ya, Kalaw Kawaw Ya, Kawrareg and Mabuyag. Torres Strait Creole and English are also spoken. Our vision signifies that the heart of our region is our people, with culture an important part of our lives now and into the future. Empowering our people to contribute to and make decisions regarding their future ensures that our culture will remain strong and that the future will be guided by the people who live in the region and understand and promote its unique characteristics. The TSRA Economic Development Programme supports local businesses to gain greater economic stability and growth. 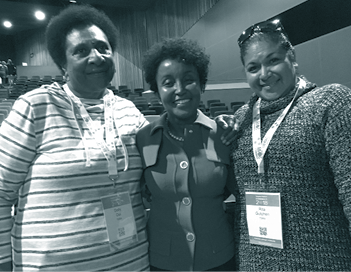 This included supporting Torres Strait and Aboriginal owned businesses to attend Supply Nation Connect 2018. Ms Louisa Nancy Kiwat – Artist, Erub Island. Held on 22 and 23 May 2018 in Sydney, Supply Nation Connect 2018 included a knowledge forum and a tradeshow, on the theme ‘Shaping an inclusive economy’. Registering in the Supply Nation directory allows Indigenous businesses greater visibility when being considered for Australian Government procurement and commercial opportunities. The first day provided an opportunity for Indigenous business owners from across Australia to share their knowledge and experience while engaging in a series of workshops facilitated by prominent business figures. The second day included the tradeshow, at which the TSRA operated a booth that provided our local businesses with an opportunity to showcase their businesses and products. The Supply Nation forum experience highlighted the importance of developing effective marketing and networking opportunities. Registering in the Supply Nation directory allows Indigenous businesses greater visibility when being considered for Australian Government procurement and commercial opportunities. The TSRA and the Australian Bureau of Statistics (ABS) implemented a memorandum of understanding (MOU) on the production of a Torres Strait Regional Statistics Data Library (RSDL). 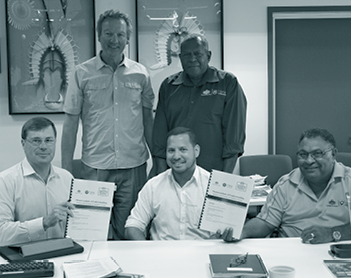 In signing the MOU, the TSRA and ABS have formalised their commitment to working together with the Torres Strait community in supporting the development of regionally specific data. As a basis for regional development planning, the RSDL will provide geographically specific data related to a broad range of statistical topics relevant to the Torres Strait, such as: demography and society, housing and infrastructure, social and support services, health status, education and training, criminal justice, labour market, environment, and income from employment and welfare. A primary focus of this collaborative project is the compilation of key regionally specific social and developmental statistics collected in conjunction with the national population census and other official data collections. The TSRA provided $50,000 to the Australian Maritime Safety Authority (AMSA) to deliver BoatSafe training to all outer island Torres Strait and Northern Peninsula Area communities. The BoatSafe training provider is accredited by the Queensland Department of Transport and Main Roads to deliver maritime training. The training ensures that community and recreational vessel masters are safe, competent and compliant with boat safety regulations. The training was extremely well received by community leaders, maritime industry stakeholders and the broader community. 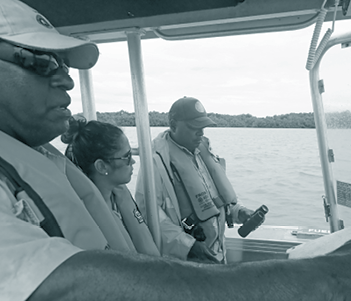 The training enabled community members to receive their Recreational Marine Driver Licence (RMDL) and resulted in people becoming accredited as safe recreational vessel operators, ensuring that community and recreational vessel masters are safe, competent and compliant with boat safety regulations. A total of 250 participants received the training, with numerous participants who already held an RMDL attending to refresh their knowledge. In 2017-2018, the Evolution: Torres Strait Masks exhibition, developed by the TSRA’s Gab Titui Cultural Centre in partnership with the National Museum of Australia, was shared internationally for the first time. The exhibition was presented in Hanoi by the Australian Embassy to Vietnam together with the Vietnam Museum of Ethnology. The two-month exhibition at the museum was part of activities celebrating the 45th anniversary of diplomatic relations between Australia and Vietnam. Evolution explores the importance of ceremonial masks in Torres Strait Islander culture and their influence on contemporary art forms. It will be shared with up to 40 countries as a travelling graphic panel display. In January 2017, the TSRA partnered with the Australian Government Department of Agriculture and Water Resources (DAWR) and Telstra on a two-stage project to upgrade telecommunications infrastructure, provide a platform for 4G technology, and deliver increased network backhaul capacity for the Torres Strait region. The first stage of the project was costed at $8.26 million and completed in June 2018. The second phase of the project, known as the Torres Strait Digital Expansion Project, is valued at $15.62 million ($7.09 million from Telstra and $8.53 million from co-contributors). In June 2018, the TSRA received $1.4 million from DAWR towards Phase 2 of the telecommunications upgrade project. The funding is welcomed by both the TSRA and Telstra and allows the project to continue into 2018-2019. The TSRA and Telstra will progress with Phase 2 by dividing the scope of the project into smaller portions, with the objective of entering into funding agreements with a focus, in the first instance, on upgrading 4G base stations in the north-west cluster islands of the Torres Strait. In addition to the $1.4 million recently provided by DAWR, it is hoped that the state government will contribute $2.135 million and that Telstra will match the co-contributions. 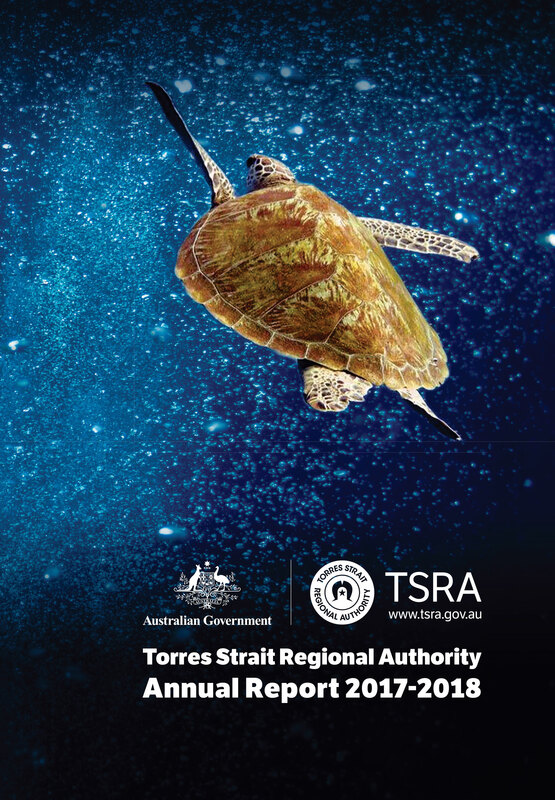 The TSRA will continue to work with Telstra and all levels of government to seek the remaining funding to ensure that the telecommunications infrastructure in the Torres Strait region is capable of delivering the technology and innovation needed for border protection, biosecurity management and multiple socioeconomic, educational, health and community safety outcomes for the island communities and people of the Torres Strait region. continue to support communities in the implementation of community-based management plans for dugong and turtle. The TSRA is well placed to deliver an effective compliance management programme that includes the Indigenous Ranger Programme, which involves 50 full-time rangers based across the outer islands. The CMU has been established on Thursday Island, providing centralised management of all specialist compliance management activities. Over the next two years, this will include the development of an operations control centre with all of the appropriate resources to receive, analyse and disseminate information and direct field operations. The CMU will facilitate an effective network between communities, rangers and regulatory agencies, ensuring that at all times rangers are supported through ongoing participation in patrols, training, and mentoring by specialist Indigenous compliance staff. The development, design and implementation of the CMU will be consistent with international best practice and in accordance with national guidelines, policy and legislation. The CMU will facilitate an effective network between communities, rangers and regulatory agencies, ensuring that at all times rangers are supported through ongoing participation in patrols, training, and mentoring by specialist Indigenous compliance staff. During 2017-2018, through the support of DAWR, over 90 per cent of TSRA rangers completed formal and nationally recognised Certificate IV in Government Investigations (Regulatory Compliance) training, equipping them with the theoretical and operational knowledge and skills to undertake compliance activities. As a result, the TSRA has received in-principle agreement from the Australian Government Department of the Environment and Energy for CMU staff and rangers to be delegated formal powers under the Environment Protection and Biodiversity Conservation Act 1999 (Cth). 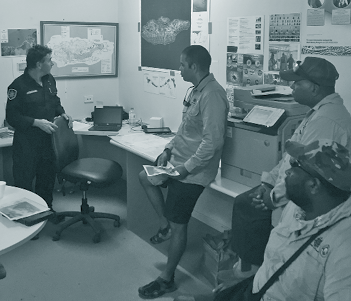 As staff capability develops, this will enable the organisation to play a key role in supporting the management of environmental compliance in the Torres Strait region. The CMU is actively participating in a review of and subsequent updates to the dugong and turtle management plans to include increased cultural authority governance protocols and associated culturally governed compliance treatments. The TSRA has now entered the final year of the Torres Strait languages project, which has been supported by the Australian Government Department of Communications and the Arts. The four-year languages project commenced in 2014 and included the development of the Torres Strait Traditional Languages Plan under the guidance of the community-elected Torres Strait Traditional Language Advisory Committee. The committee is assisting project partners with the establishment of the Regional Language Centre and the coordination of activities outlined in the plan. In 2017-2018, the TSRA finalised a three-year arrangement to temporarily locate the Regional Language Centre at the Tagai State College Thursday Island Secondary Campus, based in the Yangu Pawaw Ngurpay Mudh building. This arrangement has been created to accommodate the centre until a long-term community facility is secured. The Regional Language Centre and implementation of the Torres Strait Traditional Languages Plan 2016-2019 will help to protect and promote the six dialects spoken in the Torres Strait Island region: Kulkalgau Ya, Kalaw Kawaw Ya, Kawrareg, Mabuyag, Mer and Erub. Addressing the loss of critically endangered languages in the Torres Strait is a key outcome of this project. For the past 20 years the TSRA has implemented the Major Infrastructure Programme (MIP), a highly successful co-funding model that has secured more than $230 million of investment into the region. Through increased regional infrastructure coordination, the TSRA could enhance the optimal regional delivery of infrastructure by ensuring increased Indigenous employment and training opportunities and increased participation of local Indigenous businesses. There is considerable capacity for the TSRA to expand on the successes thus far of the existing MIP model, including key components such as the MIP Management Committee meeting to facilitate regional infrastructure improvements. Through increased regional infrastructure coordination, the TSRA could enhance the optimal regional delivery of infrastructure by ensuring increased Indigenous employment and training opportunities and increased participation of local Indigenous businesses. Significant progress was made in 2017-2018 in developing a Torres Strait model for the independent control and ownership of fishery assets, including those currently held by the TSRA on behalf of Traditional Inhabitants. After a delegation of leaders visited New Zealand to learn about the Maori experience, community consultation was conducted in early 2018 across all communities in the Torres Strait, to seek their views on the ownership, control and management of fisheries assets and endorsement for the TSRA to identify the best structure to deliver a solution on this matter. This study and consultation gave the TSRA the mandate to progress to Phase 2 of the initiative, which is to seek legal, accounting and business advice on the most suitable entity and/or structure for a community management framework in the region. The TSRA will continue to work with all stakeholders to further progress this project in 2018-2019. Despite Native Title decisions giving exclusive possession on all the inhabited outer islands, the freehold on most of those islands continues to be held by the Torres Strait Island Regional Council under a Deed of Grant in Trust (DOGIT). Currently, only two Registered Native Title Bodies Corporate (RNTBCs) have Torres Strait Islander freehold land on their respective islands. However, four more transfers of the freehold land to the RNTBCs are now on the table. Such transfers may present opportunities for increased self-determination and economic development. The geography of the Torres Strait area presents and always will present a challenge when delivering services and infrastructure. With island communities spread across approximately 44,000 kilometres of sea, the costs of delivering services and infrastructure are significantly higher than in most other parts of Australia. These costs have a major influence on the implementation and timing of programmes, services and projects. The high costs of travel and transportation of freight in the Torres Strait continue to impact on economic growth, tourism and the delivery of programmes and services in the region. For example, the delivery of services to the outer Torres Strait islands may not be as timely or effective as in other Indigenous regions. Therefore, positive initiatives such as subsidised transportation and freight and airfare costs are required to mitigate those significant costs. In February 2018, the Supreme Court of Queensland handed down a decision in Wigness v Kingham, President of the Land Court  QSC 20. This was a review of a decision of the Land Court of Queensland. The Land Court action was brought by parties who had lease entitlements under the Aboriginal and Torres Strait Islander Land Holding Act 2013 (Qld), known as Katter leases. The parties had applied for grants of Katter leases, but the Minister for Natural Resources and Mines had decided that Native Title was a competing interest and therefore a practical obstacle to the grant of Katter leases. The Land Court found that this was incorrect and that granting an entitlement to a Katter lease was a pre-existing right based act under section 24IB of the Native Title Act 1993 (Cth). The granting of exclusive possession by such an act extinguishes any Native Title. Therefore, Native Title was not an obstacle and the leases could be granted. The Supreme Court upheld the Land Court’s decision. There are currently 330 valid entitlements to Katter leases in the Torres Strait. If these entitlements were to be exercised there would be a significant effect on Native Title in the region. The TSRA is awaiting the provision of detailed mapping of the Katter lease entitlements in the region from the Department of Natural Resources and Mines. The total allowable catch in the 2017-2018 tropical rock lobster (TRL) fishing season was a historically low catch of 299 tonnes, shared between Australia and Papua New Guinea. For the first time, the season closed early, on 31 July 2018, when the Australian share of the catch was reached. As one of the most important economic drivers in the region, this had a significant negative impact on people’s livelihoods. The Protected Zone Joint Authority (PZJA) is taking steps to improve the management arrangements in the TRL fishery. As a result of additional Transferrable Vessel Holder licence purchases by the TSRA in 2017-2018, the nominal ownership of the TRL fishery by Traditional Inhabitants under a future management plan is now 66.17 per cent of the Australian share of the fishery. The TSRA is working as part of the PZJA to implement a TRL fishery management plan that supports the aspiration of Torres Strait Islander and Aboriginal people in the region and formally secures ownership of the 66.17 per cent by Traditional Inhabitants. 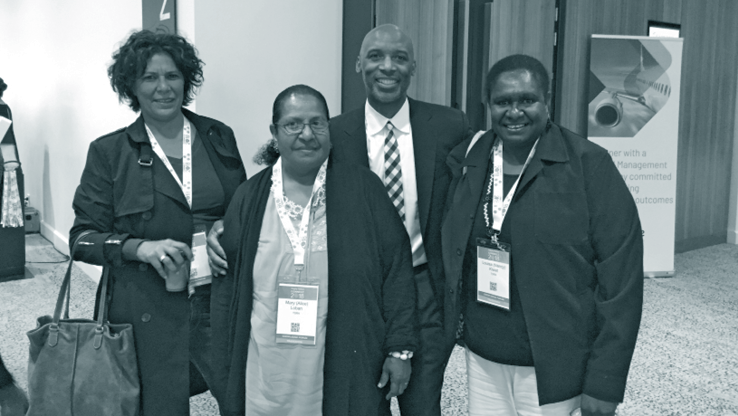 Telecommunications in the Torres Strait is both a challenge and an opportunity. As noted under Opportunities, the TSRA, in partnership with Telstra, is working on a staged project to address telecommunications and mobile network issues in the region. Until the project is completed, the region will continue to experience mobile network drop-offs, black spots and unreliable internet and mobile reception. For example, at present a number of outer Torres Strait island communities can only use landlines, which can sometimes be unreliable. Agencies like the TSRA are exploring alternative options such as the installation of repeaters and antennas for their staff and Board members based in affected communities. A key challenge to the TSRA’s Integrated Service Delivery (ISD) project is securing commitment from all Commonwealth, state and local government departments operating in the region to treat ISD as core business. As an initiative to improve ISD in the region, the TSRA has implemented MOUs and memorandums of agreement with some of the government bodies, including the three local government councils in the Torres Strait and Northern Peninsula Area. The Torres Strait Regional Coordination Group has also been established, to drive accountability and strategic assessment for delivery of cross-regional actions that are identified in the Torres Strait Regional Adaptation and Resilience Plan 2016-2021 as well as other matters of strategic regional significance, and to ensure that there is effective coordination across organisations and agencies. The TSRA and the three local governments are the pillars of the Torres Strait, and the core function of the Torres Strait Regional Coordination Group is to align various stakeholders to the vision of addressing local-level climate change impacts and community development actions. For many years there has been a need to improve the coordination of waste management. While there has been some progress, the development and implementation of a Torres Strait specific regional waste management strategy is now necessary to overcome the difficulty of the Torres Strait and Northern Peninsula Area biosecurity restrictions and the high costs of potential solutions. The development and implementation of a Torres Strait specific regional waste management strategy is now necessary to overcome the difficulty of the Torres Strait and Northern Peninsula Area biosecurity restrictions and the high costs of potential solutions. 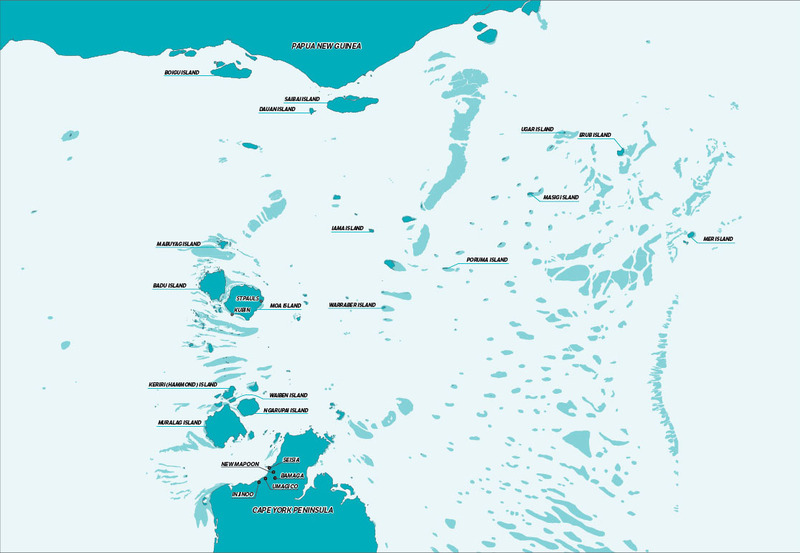 The Torres Strait is an island environment, making marine infrastructure essential to transport throughout the region. Much of the wharf infrastructure in the Torres Strait is aging and in need of large-scale maintenance and/or replacement. The investment required is beyond the resources of local councils, and the TSRA is continuing to work with all stakeholders to attract the required resources.